Awaiting trial in the psychiatric Archway Young Offenders Institution, eighteen year-old Emily Koll is going to tell her side of the story for the first time. All we know is the newspapers says she’s evil. And she says she’s not sorry for what happened. 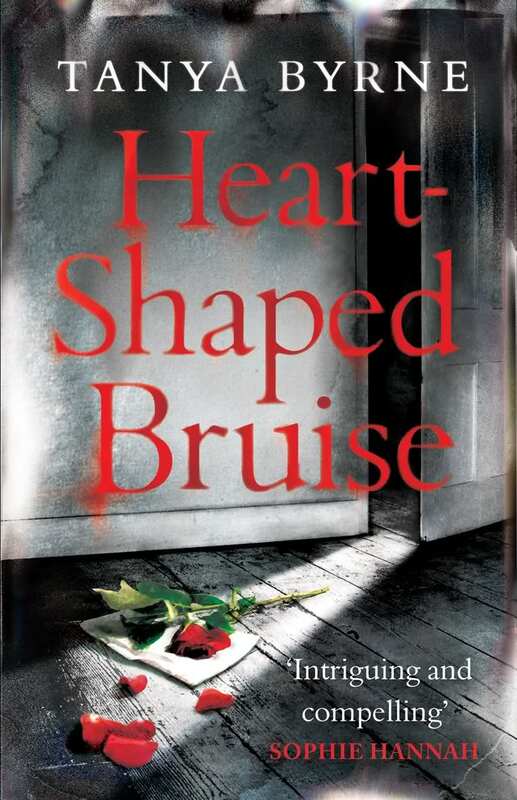 Heart-Shaped Bruise is a YA / crossover gritty psychological thriller told from Emily’s point-of-view in an abandoned journal. As Emily engages with her shrink, we slowly find out what she’s done – and why. It’s unusual for a story to be told by essentially the villain but that’s why I loved it. We get to decide what we think of Emily – is she evil or not? Why did she do it? And ultimately, do we blame her? It’s not an easy journey – sometimes she’s really unlikeable, others an unreliable narrator but as she unravels, she pulls us along with her and being right inside her head is a challenging but ultimately rewarding experience. Thought-provoking but pacy and entertaining, this book hooked me from the first page. I couldn’t put it down. I don’t want to say too much in case I give the story away and this is one that you want to discover for yourself but if you like realistic YA fiction, you shouldn’t miss this. When I finished reading, I took to Twitter to give a one word review. That word was LOVED. I love different perspectives like that. Sounds GOOD! I hadn’t read a POV like it before. A breath of fresh air! Let me know if you do read it! I think that’s what interesting about these types of books, you know books that take an alternative perspective. There isn’t so much good and evil so much as really bad choices. We all have elements of positive and negative within us and I think that’s what makes that perspective so intriguing. Of course it has to be done right and appeal to it’s audience, but it sounds like this one hit it on the head. You’re right! Bad choices … I like your take on it. I like that it is told from the perspective of the “villain”! Really intriguing. I’m not normally a gritty book kinda girl, but I am actually curious about this. Going to read more about it on GoodReads! 🙂 Thanks for the recommendation! It’s always fun to read something different now and then. Let me know what you think if you do read it!